Zip & Location Finder is a practical and handy tool for iOS devices. It uses the device’s GPS functionality to help the user identify the zip/post code, street address and the GPS coordinates of their current location. The App also has a mapping function that visualizes the user’s position on the map. 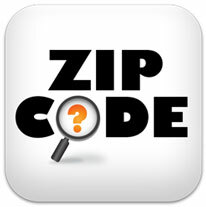 Zip & Location Finder works at all US locations and at almost any international geography.